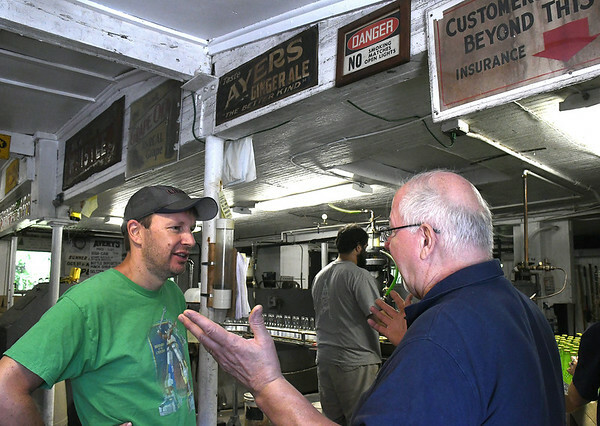 NEW BRITAIN – State Senator Chris Murphy (D) stopped in to Avery’s Beverages, LLC Saturday morning during his third annual Walk Across Connecticut. Murphy began his walk Thursday in Hartford and will be walking through New Britain and Berlin to Meriden where he will be conducting a town hall meeting. Dressed in shorts and a green Voltron T-shirt, Murphy said that he stopped to chat with state residents along his route. Murphy added that he had also spoken to several people who were “very emotional” about the handling of illegal immigrant children at the border. Murphy said that he decided to stop at Avery’s because he had grown up drinking their soda as a child living in Wethersfield. Once he stepped inside, he was greeted by General Manager Rob Metz who showed Murphy that he had made soda bottles with “Walk Across Connecticut” labels. 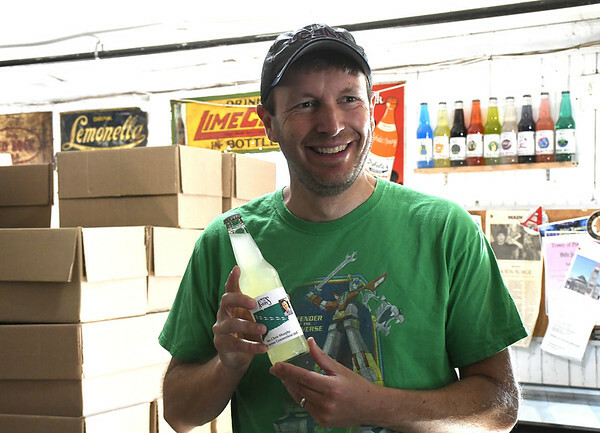 Metz showed Murphy how the soda was bottled on an assembly line machine built in the 1950s. 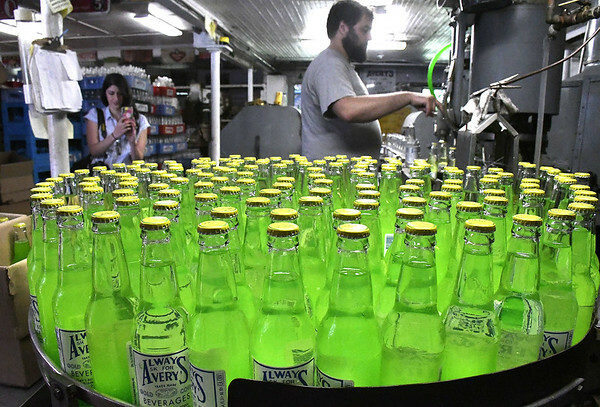 He explained that they make between 15 and 50 crates of soda at a time, which takes between a half-hour to two hours. The bottles are then distributed all over the country. Murphy observed that Avery’s, despite having been founded in 1904, was benefitting from the recent uptick in the popularity of craft beverages. “It’s amazing that you’ve survived this long,” he said. Posted in New Britain Herald, Candidates, General News, State on Saturday, 7 July 2018 15:29. Updated: Saturday, 7 July 2018 15:31.